CHICAGO - March 27, 2019 - Chicago Voyagers, a non-profit organization helping to guide youth on their journey to adulthood through outdoor experiential adventures, today announced the organization has surpassed 10,000 outdoor adventure programs facilitated on its 10th anniversary serving under-resourced youth throughout Chicagoland. Founded in 2009, Chicago Voyagers has seen an 118% increase in youth participation over the past decade. During this same period, programming has increased by over 350%. Join Chicago Voyagers’ celebration of its 10,000 Voyages Gala on Sunday, May 19, 2019 at the Copernicus Center in Chicago where more than 200 attendees will raise funds and awareness for the program. Chicago Voyagers is mission-driven to empower growing generations of young adults to live healthy and successful lives. The organization’s programs combine outdoor activities like biking, canoeing, hiking, cross country skiing, mountain biking, caving, rappelling, camping and overnight river trips with therapeutic activities fostering healthy relationships and responsible behavior. Various research studies have shown that guided outdoor adventure activities and mentoring programs have a broad and lasting positive impact on youth development. According to Dr. Nina Roberts, “A range of positive social development and academic achievement outcomes, including improved self-esteem, enhanced talents in leadership, and improved skills in literacy are important effects resulting from involvement in the outdoors. The key to full comprehension, however, is the fact that it takes high quality programs and solid adult mentors to make a lasting impact on youth.” Since the organization’s inception, Chicago Voyagers has impacted more than 4,000 youth through 10,000 outdoor experiential adventures. To purchase tickets to the gala and learn more about the Chicago Voyagers mission and volunteer opportunities, visit www.chicagovoyagers.org. Tickets cost $100 and space is limited, so secure your spot today by registering online. Each year Chicago Voyagers serves more than 400 under-resourced youth throughout Chicagoland by facilitating outdoor experiential adventures. The organization’s year-round programs help guide youth on their journey to adulthood by combining outdoor activities that include biking, canoeing, hiking, cross country skiing, mountain biking, caving, rappelling, camping and overnight river trips with therapeutic activities fostering healthy relationships and responsible behavior. Founded in 2010, Chicago Voyagers is mission-driven to empower growing generations of young adults to live healthy and successful lives. To learn more about Chicago Voyagers and volunteer opportunities, visit www.chicagovoyagers.com and follow Chicago Voyagers on Facebook, Instagram, and LinkedIn. Chicago Voyagers Spring Newsletter is Here! Catch up with winter program activities — w'e’ve been skiing, rock climbing and hiking. Meet Devon, one of our program youth who is learning how to be heard. Get to know one of our passionate volunteers, Patrick Burke, and why Chicago Voyagers holds a special place in his heart. 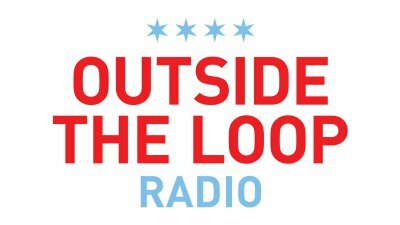 "Outside the Loop Radio is a weekly audio magazine featuring fun segments and interviews with local newsmakers, artists, musicians, and others who are doing some cool stuff around the Chicago area. The show covers topics that don’t always get the proper attention in the media, all with a strong and independent Chicago slant. OTL provides for discussion that goes beyond just the headlines in our local papers." - outsidetheloopradio.com. Research shows that prevention programs with social / emotional components, like Chicago Voyagers, are part of the answer to the violence in our society today. A testimonial from Jack Andrews, a special education teacher at Addison Trail High School. The federal government has released new physical activity guidelines. These guidelines provide guidance to Americans for maintaining and improving their health through physical activity. The evidence-based research that supports these guidelines shows a tie between physical activity and brain health. The new recommendation is that adolescents should get an hour of physical activity per day. Chicago Voyagers is ahead of the game! When kids participate in our programs, they get multiple hours of activity per day.